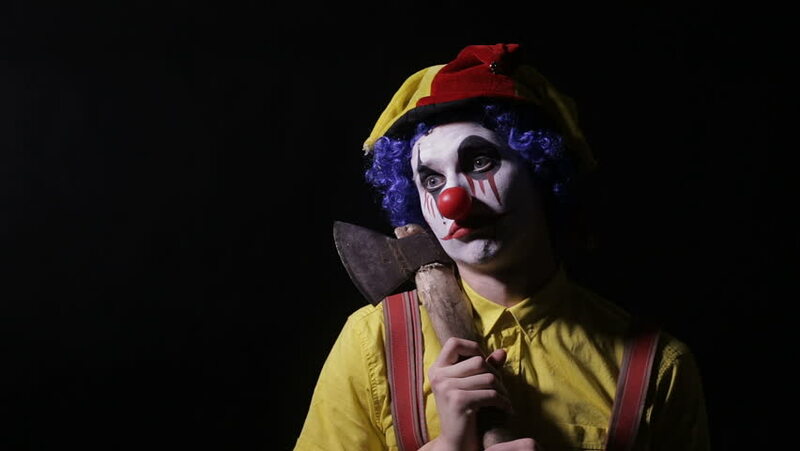 hd00:12Terrifying clown with an axe frightening you. hd00:14Scary clown making frightening faces. Close-up. hd00:15Terrible horror clown. Scary mad Juggler clown using juggling pins.